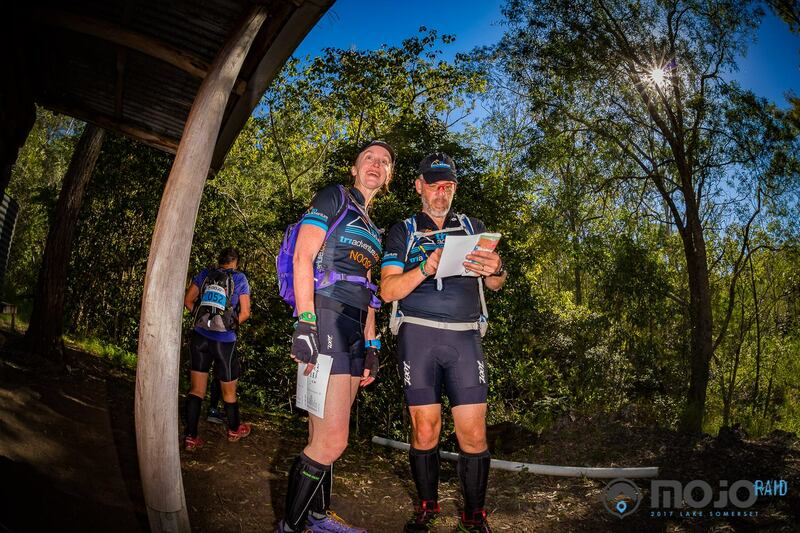 7.00am Navigation & Gear Clinic …. 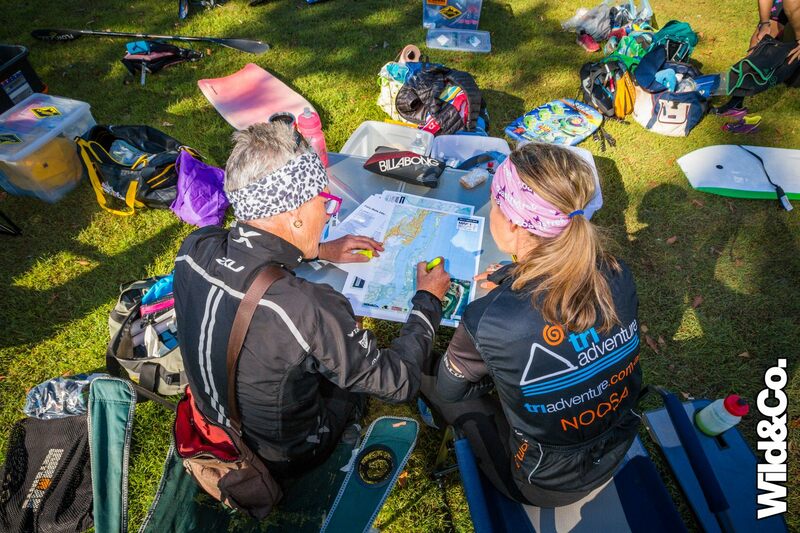 Listen and learn while we highlight many aspects of the sport including - gear suggestions and nutrition requirements followed by a navigation session. 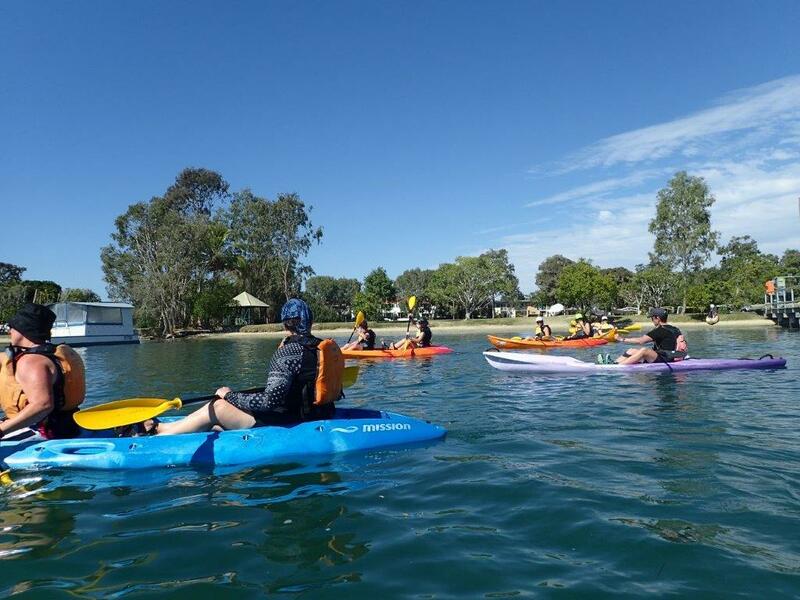 9.00am AR Paddle & Navigation Clinic… This is a session to help you with paddling techniques on boats similar to those you would usually paddle in an Adventure Race. Things covered will include steering, paddle co-ordination and paddle navigation. Plastic sit-on-top boats, PFD’s and paddles provided. 11.00-12noon Brunch..… Fuel up to get ready for a big afternoon of adventure! 1.00pm Mtb & Foot Nav Session…… We plan to take you out to some of our local forestry trails where you can put some real navigation into practice. We will show you how to follow a mapped course and then take you through a foot navigation session with some off-track options. 6.00pm Happy Hour…. Relax and unwind after a big day of adventure with a champagne and snack or a coffee and cake at one of Noosa’s stylish eateries…. 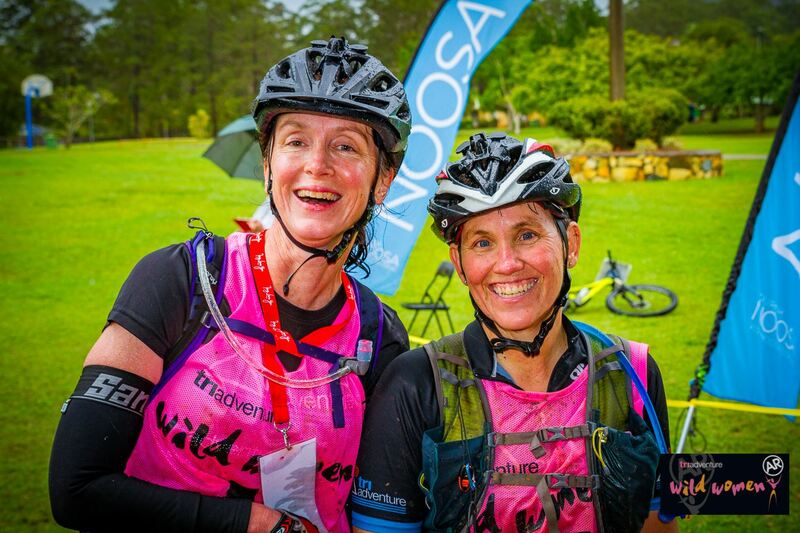 Join Tri Adventure and save $ on clinics, attend social sessions for free, and get our weekly newsletter update, receive special discounts from our supporters including Area 51, Ay-Up Lights, Endura, Skirts Sports Australia, and Venture Cycles. Numbers are strictly limited – so GET IN EARLY! Join the Tri Adventure Group here! Bookings Essential – Registration forms and payments due by Monday 13th August 2018 and Monday 17th September 2018. John Jacoby - former AR World Champion with Team Montrail, three time winner of C2C (the only ever Australian to win the event outright); my Geoquest team mate 2007; and cofounder of Rapid Ascent. So back in 2009 when I was in the middle of an extremely successful year of multisport racing I decided to enter the 2010 Coast to Coast and was really excited. Unfortunately, my recon trip to NZ in December 2009 ended in disaster. 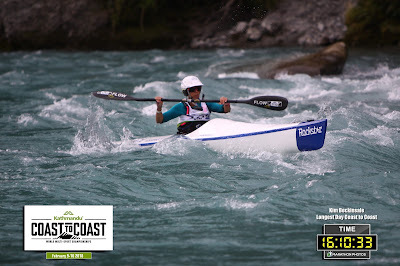 The trip was mainly so I could have an opportunity to paddle the course in an NZ multisport kayak, however a ‘weather event’ had meant that the paddle course was unsafe, and a Kiwi friend and also former winner of C2C offered us a stay in his batch at Arthurs Pass, so I could ‘at least do the run’! As it turned out, just 45minutes in, I was washed downstream whilst being shown the route by three time female winner Emily Miazga. The accident left me with a dislocated shoulder and a helicopter rescue. 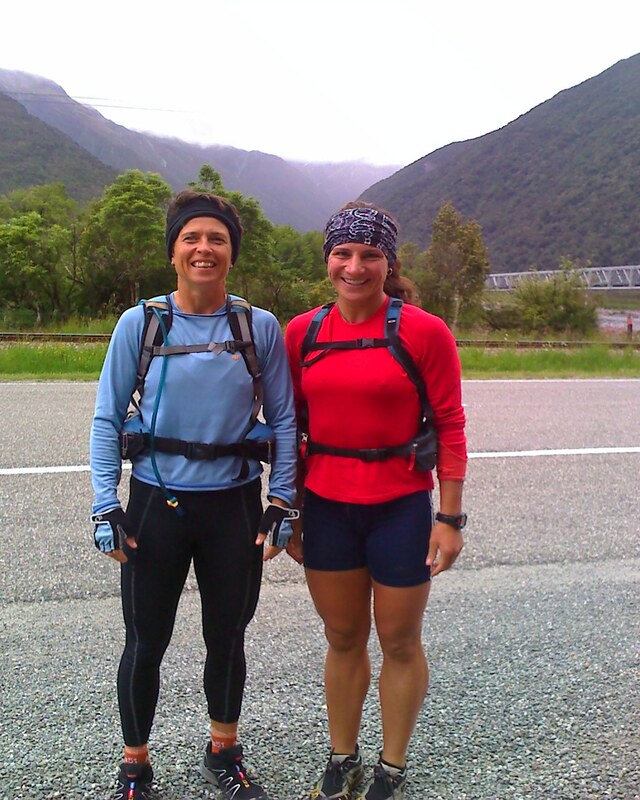 Emily had to leave me on the banks of the Deception River, while she ran and hitchhiked to Arthurs Pass to get help. I had always had a deep respect for ‘white water’ and to this day I still do, however this incident left me feeling quite anxious about the thought of rapids. 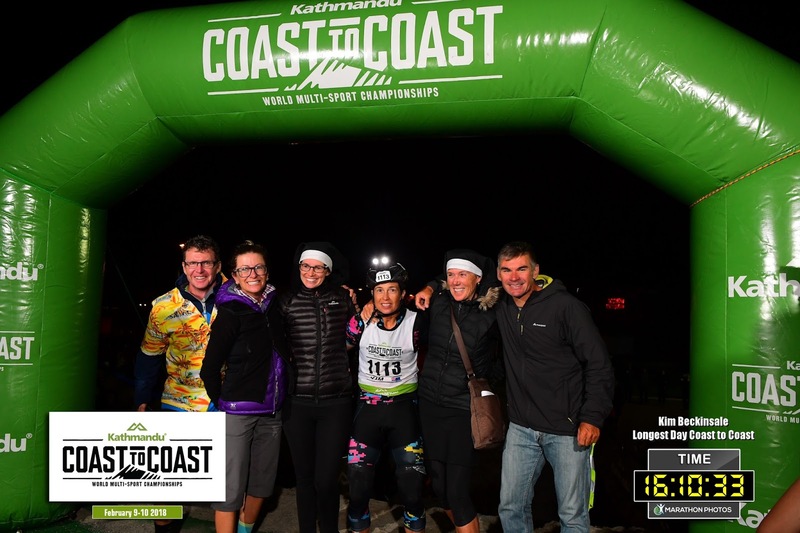 I had a speedy physical recovery, however I would not say mentally, so the C2C dream was put on the back burner when I started racing for Team Mountain Designs. 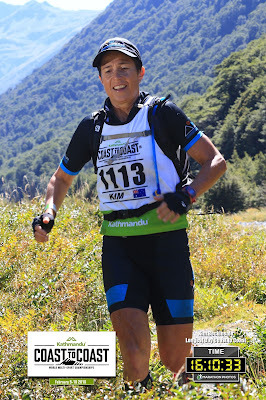 Fast forward 8 years and I find myself in the year of turning the big 50, so I thought, I had better have a crack at this iconic event, before I get too old and regret not ticking the box! Luckily for me one of our favourite Tri Adventure members Dyson Findlay was also planning on the 2018 C2C, so the journey was to continue! I did not want to focus 100% on C2C as I was still doing all of my AR training and racing and decided I wanted to have another crack at Red Bull Defiance Wanaka as in 2017 the final run was short coursed due to snow, so my preparation was certainly not ideal. 1. 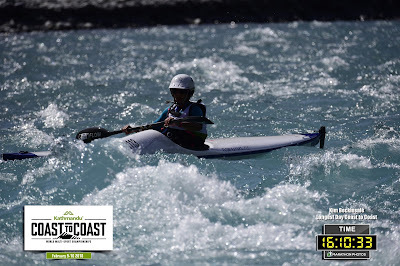 Do a white water paddle course – I lined up a weekend course in July at the Nymboida Canoe Centre – thanks to Steve Wise and Cass Kimlin for joining me. Use these skills in the pack rafting leg of Wildside AR. 2. Get out the road bike and ride it once a week after finishing Wildside AR in October - well as long as it’s not raining. 3. Paddle a multisport kayak in a race - entered the Adventurethon Demolish and paddled the famous Time machine – luckily won the event and a free entry to C2C – all the planets were aligning…..or not?? 4. Incorporate running on the rocks into my long runs – during the Demolish event gorge run I tore my hamstring not in one place but in three, so no running for a few weeks. 5. Can’t Run; can’t ride big gears on the road bike; can’t paddle a long way because of torn hamstring; what can I do??? 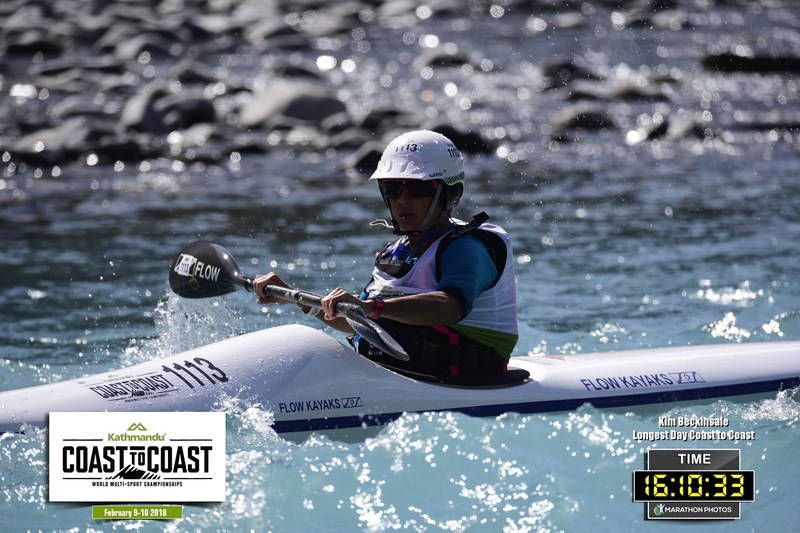 Learn how to Eskimo Roll a Multisport Kayak – face my fears and become confident being upside down in the water – thanks Narelle for the expert coaching! So I went kayak rolling training at least once a week. 6. 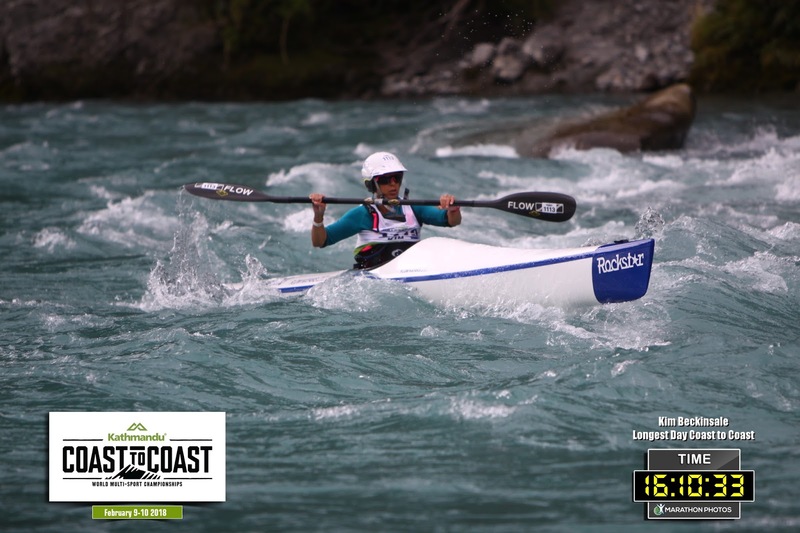 Start & Finish the 2018 Red Bull Defiance which included a white water paddle on the Clutha River – might have tired me out a bit, however it was great mental toughness training – our result 2nd Elite Female team was certainly not expected. 7. Travel to Nelson to collect the Flow Multisport Kayak for the event – Thanks Kim Myer – I set it up and took it out in the bay at nelson and was stoked to roll it first go! 8. 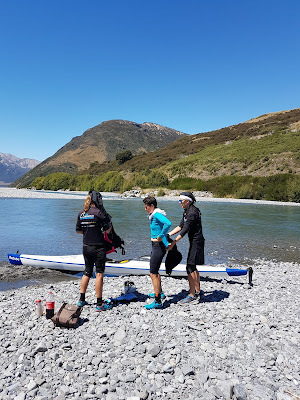 Paddle the C2C Paddle Course – the weather gods were kind on the day we paddled, it was warm and the flow on the Waimakarirri River was perfect – just one swim caused by lapse in concentration – I was stuffed at the end of 6hrs but stoked to have finally completed the paddle course! Thanks Sakkie Myer for your help and tips along the way. 9. 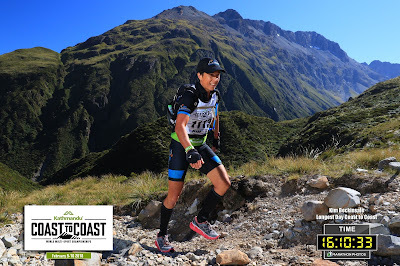 Run the C2C Run Course – after one hour I was loving it…..no disasters this time…well fingers crossed! 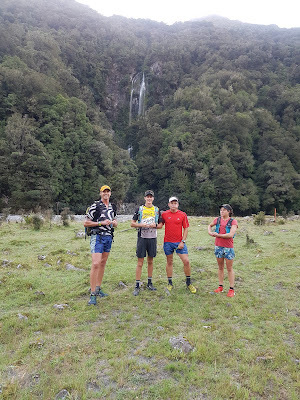 It was a beautiful day and I was in my element running with eventual 2018 female C2C winner Robyn Owen, her brother Lance Kime, and James Speed with Sakkie as our tour guide! Stayed in Arthurs Pass for about 9 days in the middle, did some mountain biking and hiking! Why??? NZ is such amazing place, there is so much to explore, so with XPD looming, why not! Oh and there was a huge weather event, so there was little chance of doing much more…..other than just a little 1hr 30min run on the flooded run course with Elizabeth Dornom – facing my fears! 10. 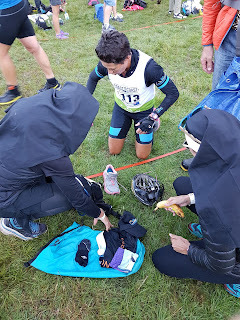 Practice transitions, get all my gear sorted and develop a transition plan with my amazing support crew – the Tri Adventure Nuns. Stayed at Hokitika for about 4 days with Dyson and our support crews. 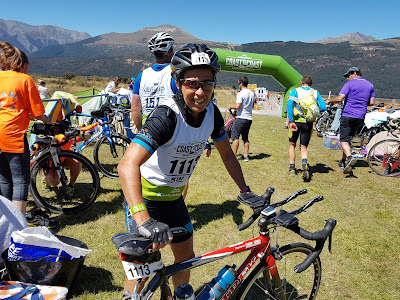 We both practiced transitions at the lovely Lake Kaniere just 20k’s away, so finally a chance to take the road bike for a whirl, and did a little more rolling practice – thanks Gina for lending me the White Water specific kayak helmet! One cannot under estimate the enormity of travelling from one side of a country to the other side of a country in one day running, cycling and white water kayaking through mountain passes and gorges that are only accessible by helicopter or speed boat. I started by touching the ocean on the West Coast of NZ in the dark, and finished touching the ocean on the East Coast of NZ in the dark. 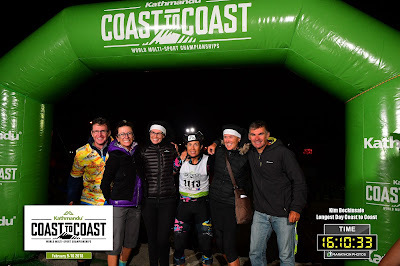 Coast to Coast is what it claims to be……The Longest Day…..and it felt like a very long hard day to me, both mentally and physically exhausting…..here’s what happened in between! 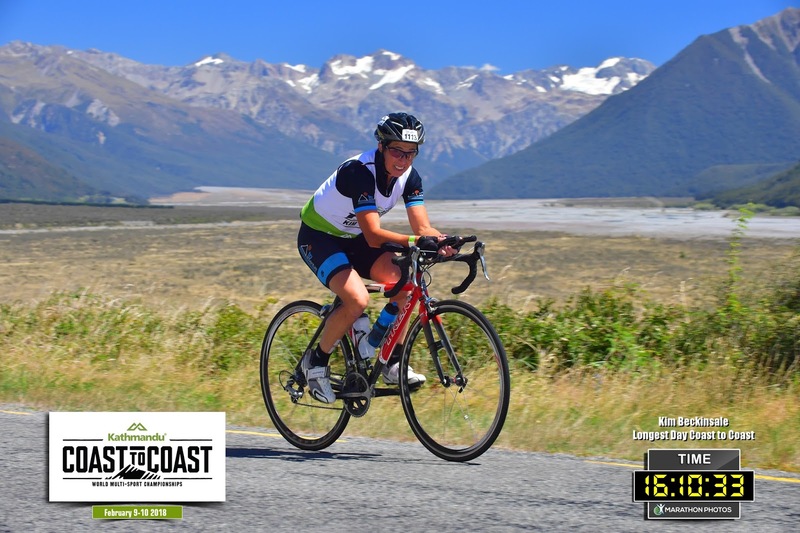 Leg 2 Road Cycle 55k – This was an absolute buzz – took me back to my road cycle racing days. All those skills of chasing a wheel, adjusting speeds, and just focussing just all came back naturally. I narrowly avoided a collision on a section of dirt with just 5k to go! Phew…..I was glad to make TA2 as any lapse in concentration or mistake by others in the pack could have meant game over! 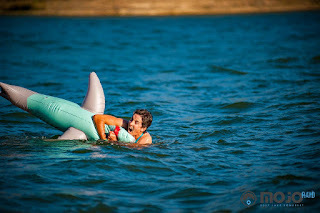 My nutrition for this was Endura Opti and it was just perfect. Leg 3 Mountain Run 33k – I was greeted in the TA by the Tri Adventure Nuns – my support crew Jan & Shan. The support crews are such a big part of the event, so it is quite a spectacle to see everyone out there in fancy dress helping their athlete and being inspired to one day take on the event themselves. I absolutely loved the run, but I can tell you it was hard, as it just took 100% focus and concentration all the way. 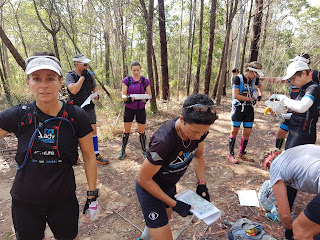 The course was extremely well marked and I enjoyed the challenge of looking for the markers and the runners ahead as I ran up towards Goat Pass. I took some time to look around as it was just such a spectacular place to be! 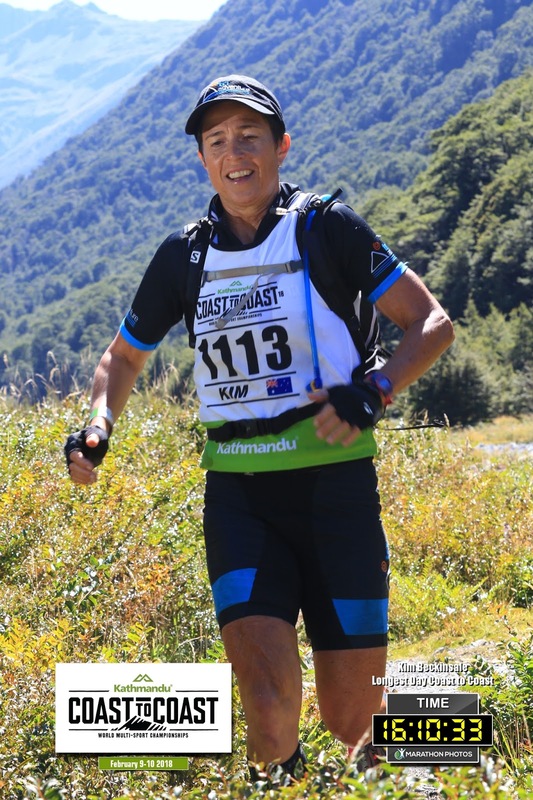 I would have loved to have hammered the downhill, however my internal sensors were holding me back saying – be careful Kim, you just have to get to the end of this run. The run off Goat pass is extremely technical with tree roots and little rocks…..normally my forte….however content to err on the safe side on this occasion! My nutrition on the run was a banana as I ran out of TA, an Ems Power Cookie Bar on the way up, and All Natural Lollies to get me to the TA at Klondyke Corner. I chose to run with Endure Lemon Lime in my bladder and then refill the bladder before the top….I did not mind carrying water. 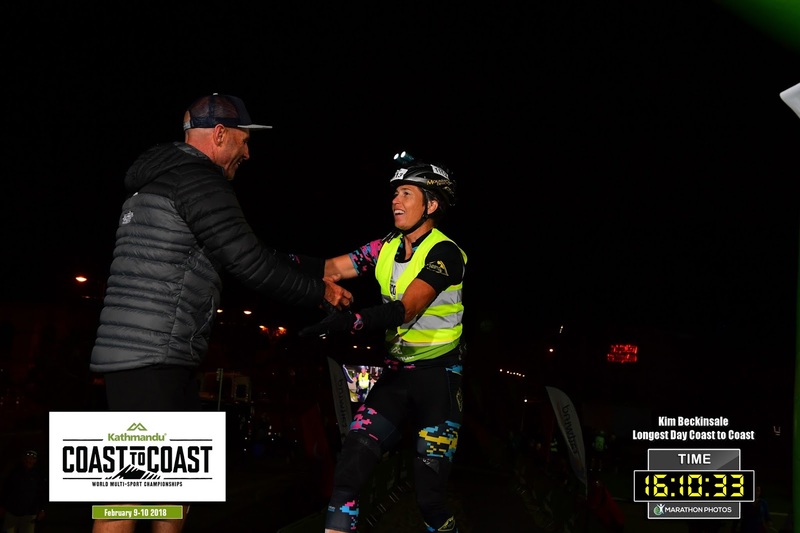 Leg 4 Bike 15k & Run 1.3k – I was greeted here by Jan who was so excited to see me – I think I said ‘I am stuffed, but I am ok’ as I ripped off my shoes and ran towards my bike! I had been practicing my transitions – the superman leap style, however there was no flying at this stage of the course….so I more slowly got onto the bike, got my feet in my bike shoes and tried to get in some Endura OPTI on the way to the kayak TA. Shan was at the TA with Bern Dornom & Gina as well, I was so excited to see their faces as I hobbled down to the water, trying to stuff a peanut butter sandwich into my mouth…..I had to walk to get down. 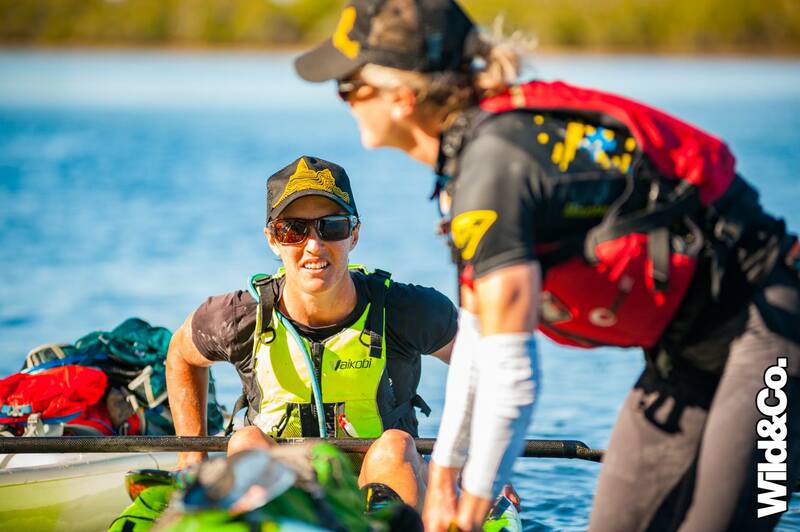 Leg 5 Kayak 70k – Steve and Jan were waiting for me and were jumping up and down. The weather seemed absolutely perfect and so advised me just to put on a thermal, I felt so hot, but knew the water would be cold. So with the help of the crew I got into the Flow Rockstar and set off down the Waimakarirri River…..I was trying to just take in the scenery whilst contemplating the what I was about to embark on – 70k of fast flowing water requiring 100% concentration. I remembered the points that Sakkie described to ensure, I followed my nutrition plan of eating every hour…..however it was so windy in the gorge that you had to hang onto the paddle or lose it…..so eating was not super easy! 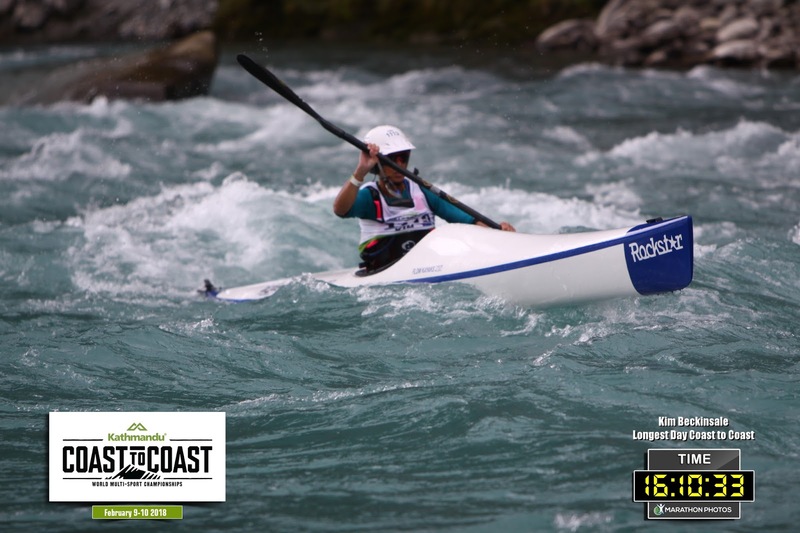 I nailed the big rapids – and the big bluffs without falling in, however I did have a few 360’s where the wind and water blew me around so I was paddling backwards! I did not panic and just used my skills to safely turn back into the current and continue down the rider. Clouds were rolling in and it seemed to be getting cooler, I arrived at Woodstock (final cut off point of the paddle) well under the time and thought just 1hr to go. I should have stopped and put on my jacket, which was easy to access (sort of), but my mental state was that I could just paddle hard and get to the end. 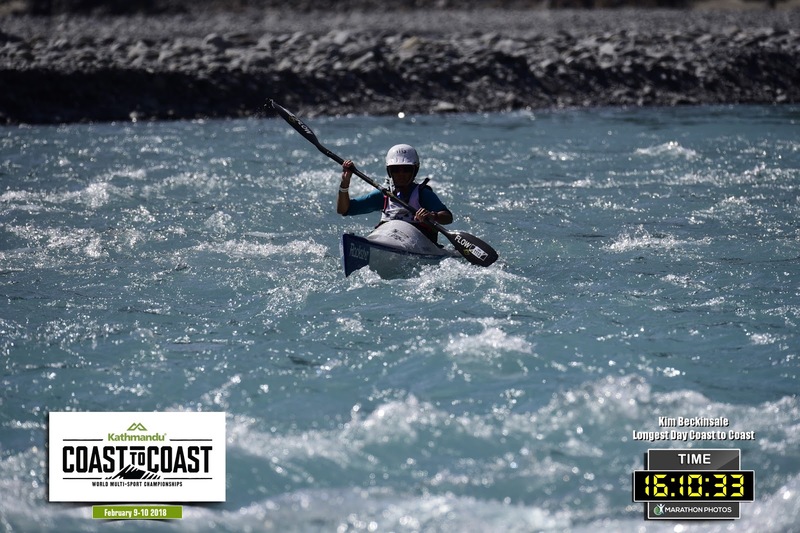 I think I may have been paddling like grandma, however luckily I did not fall in and I was still able to pick good lines, however it did take me 1hr 15 to get to the bridge. I had eaten all of my food – Coke, Whitakers chocolate and a Bumper Bar! My support team were shocked to see the state I was in and were extremely concerned, I was basically hypothermic and my body was not functioning normally. Leg 6 Road Cycle 70k - Jan and Shan helped me to the TA where I quickly put on dry clothes and tried to get warm. It was so nice to see the Kiwi Julies there as well as Gina & Steve – who should have already left to see Dyson finish! I knew in my head I would be ok, but it took some convincing for the medical staff to let me go on the bike! The word was it was raining in Christchurch, so on went the Gore-Tex jacket. Once on the road in time trial mode, I was beginning to seriously overheat, but I was scared to remove my jacket as I knew how cold I was. I was trying to eat and drink each 5k but was so hot I was beginning to feel nauseous, so I stopped, took off the jacket and set off again. Instantly I was riding 5k/hr faster. 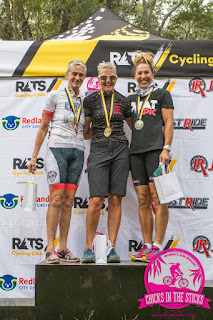 Despite the massive head wind and the drizzle as I was riding the final leg, I really enjoyed this part of the race…..pushing big gears I thought impossible at this point, reflecting on where I had been since 6am. It was getting dark, so the AY UP lights on my helmet worked perfectly as I rode towards the lights of Christchurch. 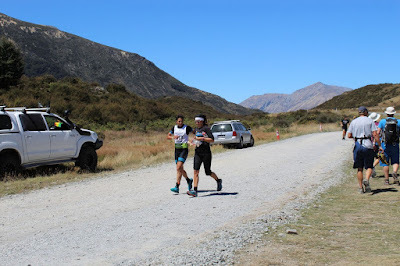 Jan and Shan were in the car following me for safety (they had been told by the Medics to tail me all the way) took off when I noticed I just had 5k to go! As I turned the final corner a lovely lady welcomed me to the east coast…and before long I was off the bike and running up the sand to the finish line….slapping the hands of friends and the crew…..I had tears in my eyes…..Wow, I did it! My time 16hours 10 minutes and 33 seconds……no records broken! Just stoked to tick the box! I certainly had a great time out there and can see why Coast to Coast is on the bucket list of nearly every Kiwi. 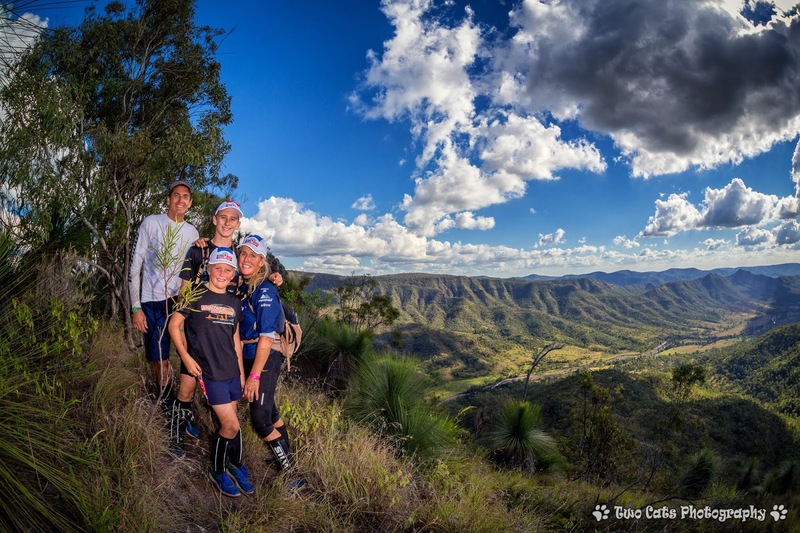 This inspires me to encourage more Aussies to have a crack as you just can’t put in words what it is really like without actually doing the race yourself……do it now before it’s too late….but be prepared to learn and develop the skills you need to enjoy yourself out there! Adventures in NZ.... We Aunties escaped the summer heat of Noosa and revisited a few of our favourite spots from the Godzone Trip in 2016. We mountain biked on the Old Ghost Road staying overnight at the Stern Valley Hut, before catching up with Em from Em's Power Cookies. Then we headed to Kaiteriteri to have a ride on the fabulous MTB trails and paddle and hike in the Abel Tasman NP. 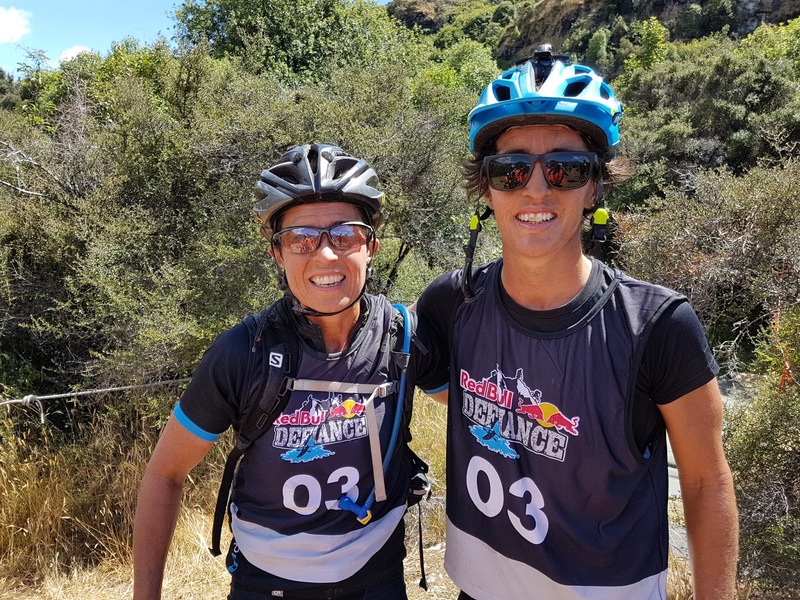 Following a quick trip to Nelson to visit Sakkie Myer we headed to Wanaka for the Red Bull Defiance. Kim and Cass teamed up as 'Mountain Designs Wild Women' and loved the course despite some challenging conditions. On day 2 Cass shot the Clay Pigeon and the girls got to race in the January snow! North Shore Adventure..... In true Tri Adventure style we picked the hottest day ever to climb the biggest sand dune in the world.....But as it turned out, we all survived and enjoyed an amazingly refreshing dip in the ocean to cool ourselves down. Our ride back to the ferry was a bit interesting as well.....why would you use a perfectly good road when you could ride on rough and tough sand tracks and spindly grass...always on the lookout for the tough training effect I guess! 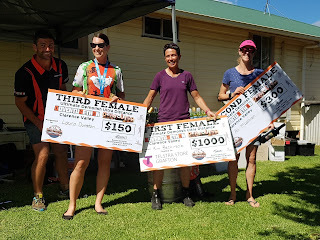 Tre-X Australian Off-Road Tri Champs.... It was a very hot day down at the Tre-x event, however it was great to see so many Tri Adventure members out there having a go. 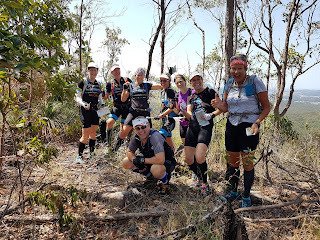 Instead of resting up after this HOT HOT race, a small group of us headed out to Kin Kin via the Noosa Trail Network to celebrate Jan's birthday! We stayed at the pub overnight and took to the trails early the next morning for the return journey! 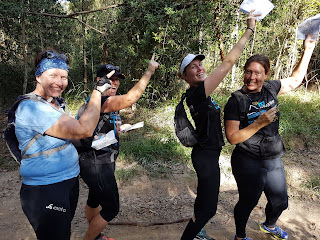 AR Skills Clininc..... We had a lot of fun at our first AR Skills Clinic of the year….meeting some new adventure enthusiasts…..some from as far away as Dalby and Kingaroy! Navigation skills were the main focus of the day, however learning the art of paddling in time was also on the agenda! 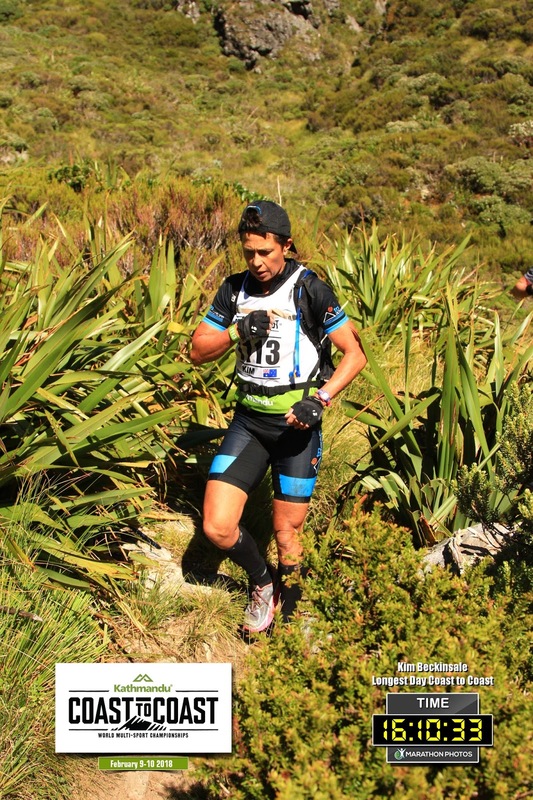 Paddy Pallin Adventure Race..... We have been staunch supporters of this event since its inception back in 2004 and continue to race here and encourage others to take part, especially novices. We pride ourselves in having many Tri Adventure teams competing and this year was no different with 15 teams all up over the two separate events. The course is always different....great work by the organiser Gary Farebrother.....and even after all these years we have visited some new areas on that map! 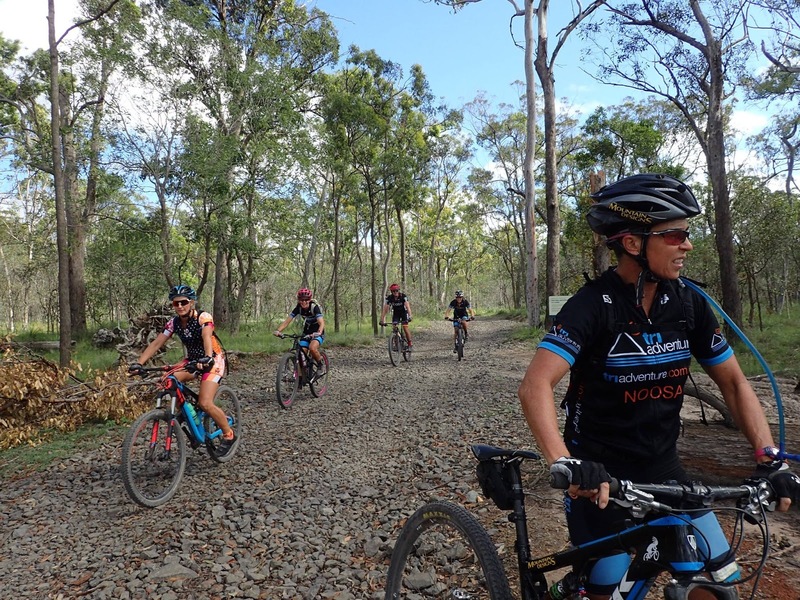 Noosa Trail Network Ride & Climb..... With the tail end of TC Debbie on it's way off the coast we decided our trip onto the Noosa Trail Network was ok to continue. 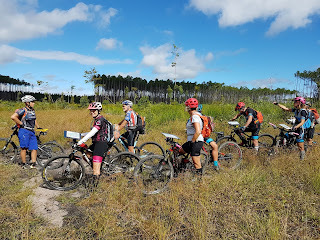 Yes, there was some mud and some trees over the trails, but mostly it was good going as we made our way out to Cooran via Trail 4, Middle Lookout and then some back roads. The climb up Mount Cooran was easy and the views were spectacular. 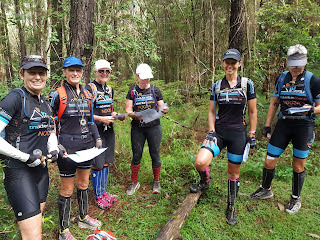 The day was rounded out with a navigational challenge near the base of Mt Cooroora, a short stop for refreshments at Trail 518 then a brisk ride home via the local trails.....so 8 hours of adventure Tri Adventure style! 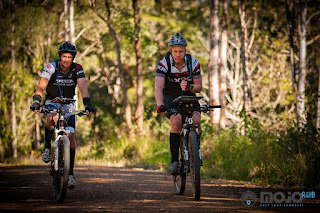 Hiddenvale 4 and 24 hour Mtb event..... 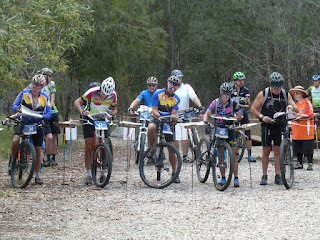 There were about 9 Tri Adventure members out racing at Hiddenvale in this enduro style event. Dyson was tackling the 24 hour solo, whilst Darryn and Peter did a team. Gina, Cass, Steve, Shan, Dianne and Anka were there to test themselves on the technical trails in the 4 hour (the sensible option...) which took place on Saturday. Bunyaville Mini Rogaine.... Kim & I teamed up for this short and sharp Rogaine in the lovely Bunyaville Forest. It was a very popular event with close to 90 teams of 2, 3 or 4 out to test their nav skills in a 3 hour time frame. Also out there mixing it with the best were:- Sloshy & Paul Elby; Shaun Lauder & Ali; Linda & John; as well as Novak, Jo & boys. 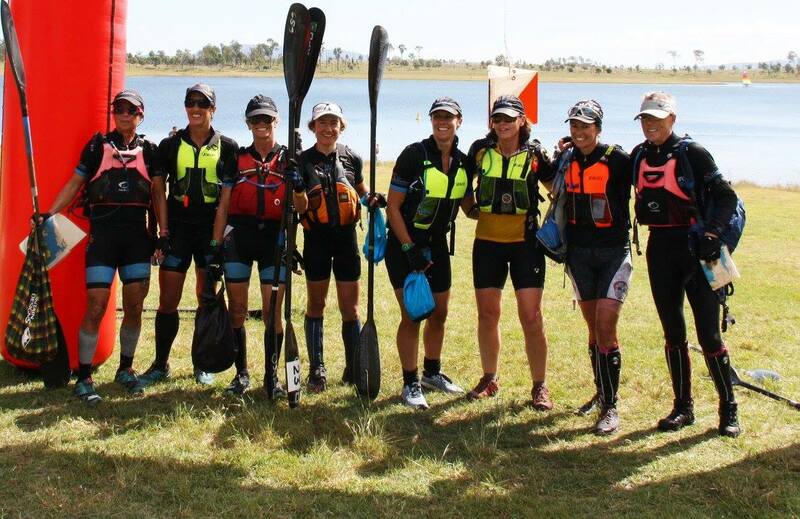 Rogue Raid..... Tri Adventure had 12 teams competing in the 24 hour and 3 teams in the 6 hour - a very impressive line-up!! 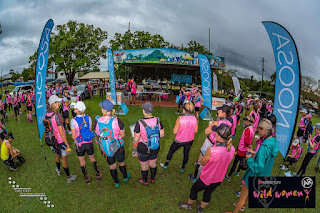 The venue this year was Lake Wivenhoe and the format was as follows: Paddle - Lake Wivenhoe up to 24km; Trek - a jaunt around the edges of Lake Winvenhoe; Mountain Bike - nice and flat along the Brisbane Valley Rail Trail; Trek - not so nice up in the Esk State Forest; Mountain Bike - basically back along the Rail Trail; Paddle - Lake Wivenhoe with some high points on offer to finish. Sloshy and Alex cleared the course and won the event outright and finished well under 24hrs - great stuff you guys! In summary - the Rogue events are brilliant. Mr Rogue himself, Liam St Pierre, has a passion for the sport of adventure racing like no-one else I know. 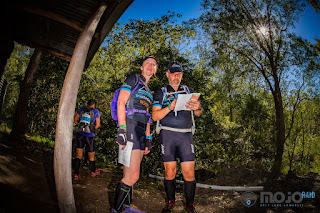 He is a stickler for detail so the maps are excellent - and he consistently runs these exciting events for us all to enjoy here in SE Qld. The Rogue Raid is the best value for money 24 hour event on the calendar.....and we did love the pizzas at 7.00pm when we came in off the trek. 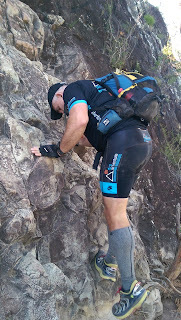 Thanks Liam and thanks Tri Adventure for supporting the Qld Rogaine Association. 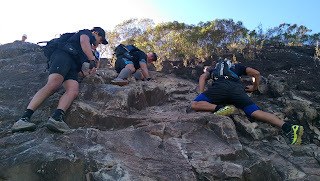 Tuesday Twilight Treks.... We introduced these sessions in May and conducted these through till the end of August. This was an opportunity to practice off-track navigation using a map and compass to find imaginary CP’s. It was great to see Steve and Shan, Jules and Pete, Rachael, Janet as well as Felicity and her weekly new partner....it seemed, taking the opportunity to challenge themselves in the dark! Glasshouse Mountains Adventure.....It had been about 12 years since we tackled Mt Tibrogargan and Mt Beerwah and we thought it was about time to give them another go. We had never taken our Tri Adventure groups up these 2 peaks, previously opting for the safer, lower altitude alternatives. We had a great bunch of adventurers join in this session Ali, Rick & Abbey, Michele & Greg, Patrick and Sam. 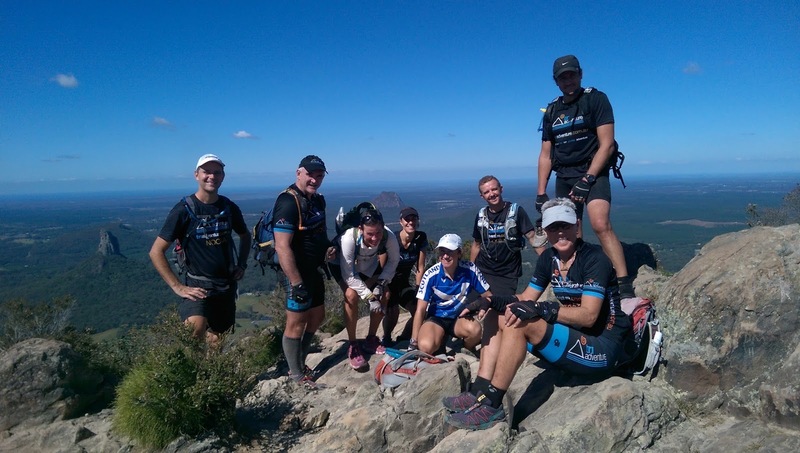 First up Mt Tibrogargan ride to the base, then stash the bikes before hiking up the walkers trail. We all arrived safely at the summit - and the views were awesome on such a perfect day. Strangely enough the climb down was not as scary as we had anticipated. 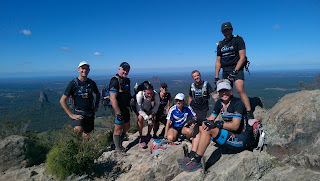 We then headed on bikes towards Mt Beerwah the highest of the Glasshouse Mountains at 556m - it was a sight to behold! The first part of the climb was a sheer rock-face....so up we went - putting our feet and hands into little indentations on the rock. Up, up, up we climbed. It seemed much further than we remembered (when I was much younger at 45...). The track was good, but still very steep and rocky! The sun was beaming down making the climb quite hot. Finally we were at the summit and it was well worth all the effort. We sat, ate, took photos and chatted - such an amazing view in all directions. Time for the descent . When we got to the rock-face we spent a fair bit of time crabbing and sliding down on our bottoms. It was slow and tedious, but we all went in line and made it down without injury - or freaking out! Back on the bikes again we enjoyed a very sweet downhill ride past Crookneck and arrived back at our cars after about 8 hours of adventure. Another great session in the bag! We sat and chatted at the pie shop - just happy that everyone got through this - as a few times some were ready to turn back. Hervey Bay Adventure..... We headed to Hervey Bay for the weekend and were lucky enough to get a bed at Chez Krome. 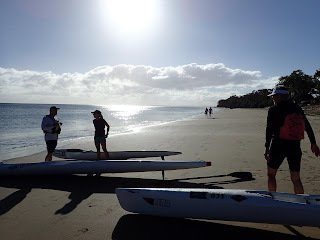 A small group of us enjoyed an ocean paddle with the Kromes, out and back around Round Island in the morning before supporting the Hervey Bay Tri Club's Off Road Duathlon at Toogum. Next day we did some more exploring in another part of the forest. Gnarly, rocky trails - something we don't have much of now in Wooroi.....and after our ride we took our maps and planned a trek looking for some features and we were joined by Cass who unfortunately had a cracked rib - so could only walk at that time. It was a great couple of days exploring a new area - and finding everything we needed for a good weekend of adventure. Thank you Kromes, Cass & Amie for showing us your home turf - we'll definitely be back for more in the future! Ringtail Navigation Session.... This session included a ride out to the trails, followed by some course setting in pairs, while still on the bikes. The group then set off on foot to find all the CP's placed earlier. We used Kim's map which she created for this session and it seemed that many of the trails had now disappeared or were very overgrown. What a great challenge for us all though as it meant we had plenty of opportunity to do some massive bush-bashes and it made us all work hard for those precious CPs - performing many grid searches as well. We spent the next hour riding around picking up all of the CP's and discussing the route choices and problems we had with the map! Kim....just a few map adjustments to make after this! Glenrock Rogaine.... It was quite a long drive out the Glenrock State Forest , most people opted to arrive on Friday and camp at the lovely Casuarina Campsite nestled in the valley alongside Blackfellow Creek. John & Linda had organised the event and the Kromes + many others had helped along the way. It was coolish overnight, however the picture perfect weather continued into Saturday and we got organised with our gear before map hand-out which was at 10.00am. We were a little worried to see only 1 track marked on the map, however, most set about planning a course which would take us up the event's namesake - the precarious looking Glenrock itself as it was worth 200 points!! The course was very challenging for everyone so it was great as usual to see so many of the Tri Adventure crew were out there - Jan and Shan; Suwati; Novak, Jo and the boys; Sam & Patrick; Kim, Cass & Ali; as well as Rick and Abbey. Thanks to the fabulous John and Linda for giving up their time to organise this one - they did a brilliant job working in an area that was extremely difficult in many ways - and well done everyone who participated! 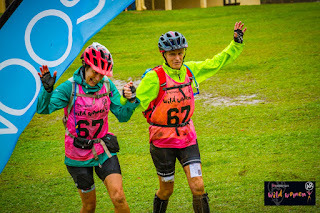 This year would have to win the prize for the wettest Geoquest and for the most gear used in less than 48hrs....I am pretty sure we both used three waterproof jackets during the race, as well as most of the mandatory gear at some point! Despite the extreme weather event which saw most of the paddling for the event cancelled (except for the full course amended ocean paddle in Coffs Harbour), it seemed like we all had a fabulous time out on our full or half courses testing our skills, fitness, navigation and our team work. Besides us, other teams with Tri Adventure representatives included - Rogue: Alex, Ali, Liam, Paul; Wondering Wandering Wookies: John, Linda, Mandy, Ken; Tri Adventure Cowboys: Greg, Darryn, Mark, Peter; Noosa Collective: Sam, Patrick, Dianne, Jason. 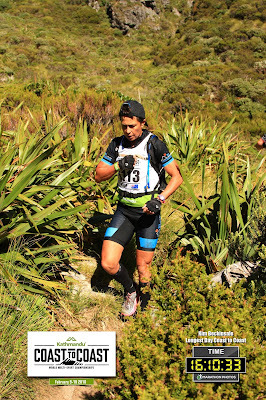 For our full race reports on Mountain Designs Geoquest 2017 click on the links below. Northern Rivers Raid....We were pretty excited to be going down to Brooms Head for this event - site of some previous lovely camping trips over the years. Our recent campsite didn't disappoint - it was literally right on the ocean. 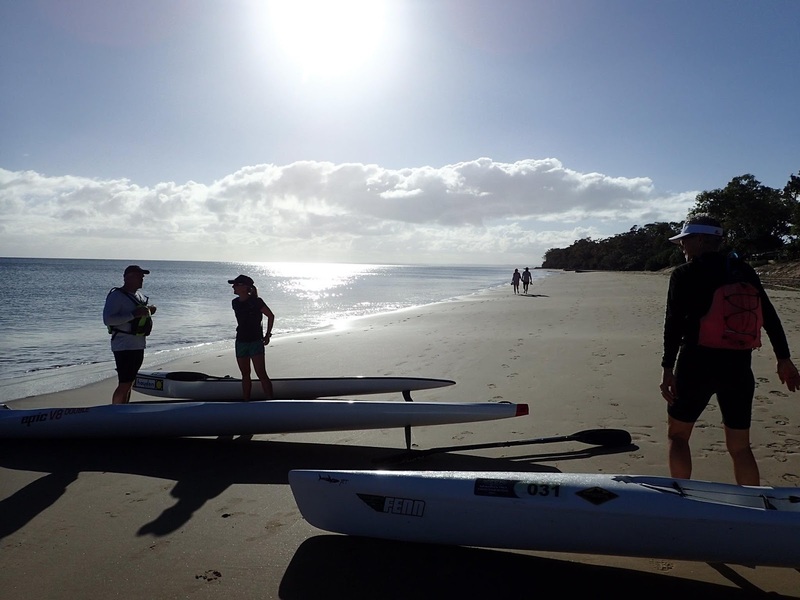 The points based event took us to parts of the Yuragir National Park and by running, riding and paddling. Along the way we visited Lake Arragan on foot, a huge hike a bike up to a Trig Point worth 100 points (which should have been worth 300), before heading to a paddle on the beautiful Sandon River. This was followed by more race-pace riding back to HQ to make the cutoff, and enjoy an old fashioned Rogaine style buffet! Tri Adventure was represented by:- Kim & Cass; John & Linda; Jan & Shan; AP & Ian; and Suwati who finished early to volunteer. It was a very different event and we especially liked being in a brand new area - just a pity about the mud - oh well, the bike shop just loved us after this one!!! Kim, Cass & Steve went on to do a white-water paddle course on the Nymboida River the next day - very exciting for them! Rapha Rough Women's 100…. It was a chilly 7 degrees when we met at the Marina for the big day out - 100km! 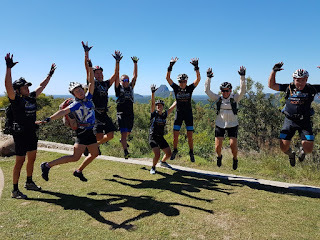 Great to have a few new faces from the Brisbane Chicks Who Ride Bikes group joining us along with the regulars on our weekend adventures.It was a huge day - but we did finish before dark which was a bonus! Back at the Marina - the champagne flowed - celebrating our achievements and Shan's birthday. Thanks for your company everyone - and thanks to Steve & Paul for looking after us! Another great adventure in the bag! 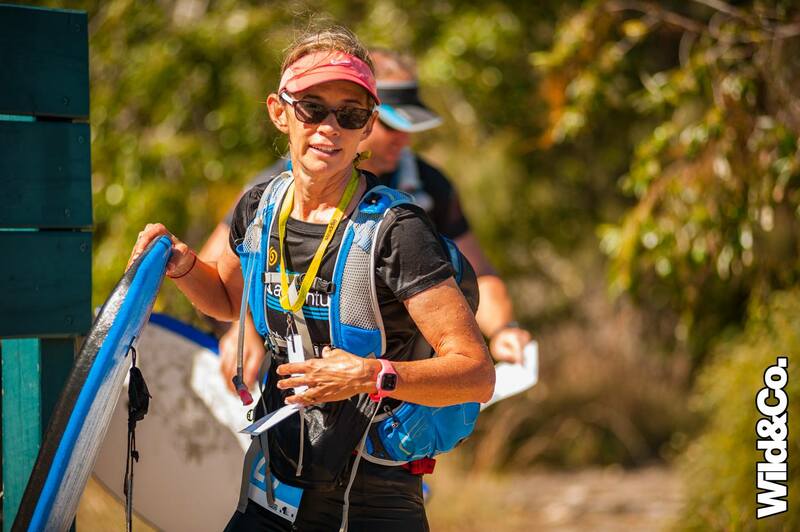 Hells Bells….Caloundra was the venue this year and what an awesome course it was! 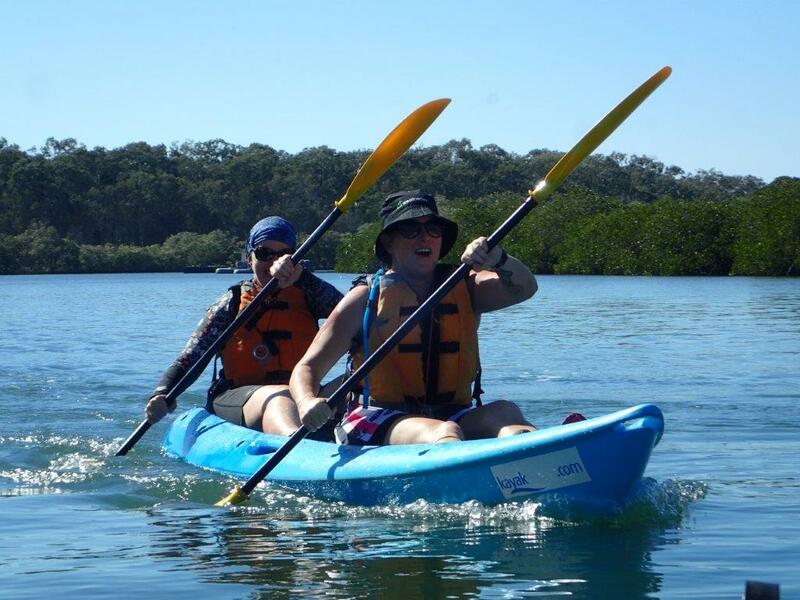 Trek/boogie board over to Bribie Island, a run south to a TA on Bribie where we would collect our kayaks. Paddle down the Passage and up Coochin Creek, ride to Landsborough via many trails, trek in the Dularcha National Park then ride home via some interesting trails to the finish at Leach Park, Caloundra. It was a brilliant course, great maps and the sting in the tail to make it interesting on the last leg. Well done Chris Dixon and Wild and Co....you did an awesome job with this one - so happy we gave you another chance!! Thunderbolts were the overall winners and thoroughly deserved the victory in a close battle with Peak Adventure! 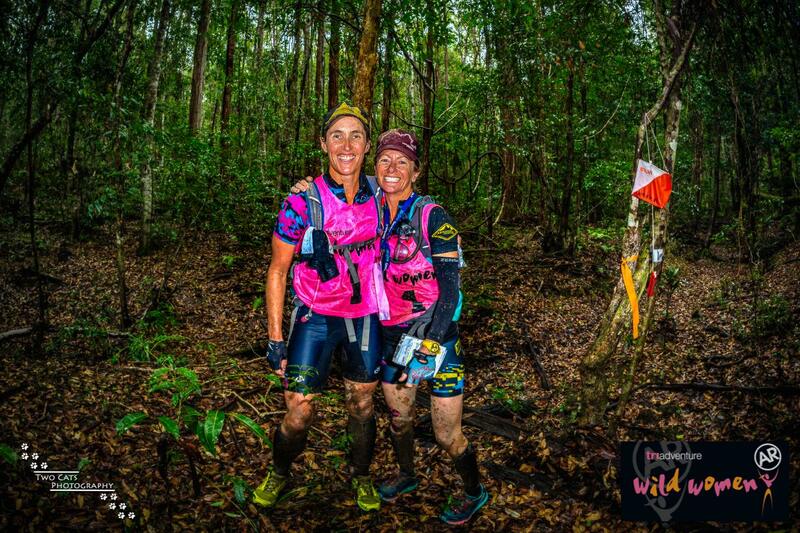 Twin Waters Adventure Race…. Xcite Adventure Racing - The event was based at the Apex Camp in Mudjimba and took in parts of Twin Waters; Mudjimba and the Maroochy River. 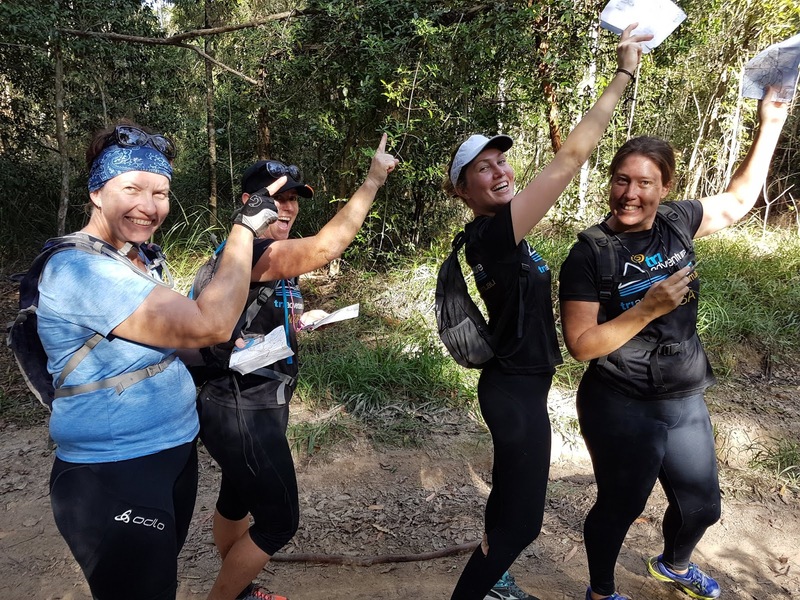 It was a really fun event - so, congrats to Darryn and Fiona from Xcite Adventure for putting on these sprint events that attract families to race together and encourage newcomers to the sport. We Aunties teamed up for this one and somehow cleared the course! 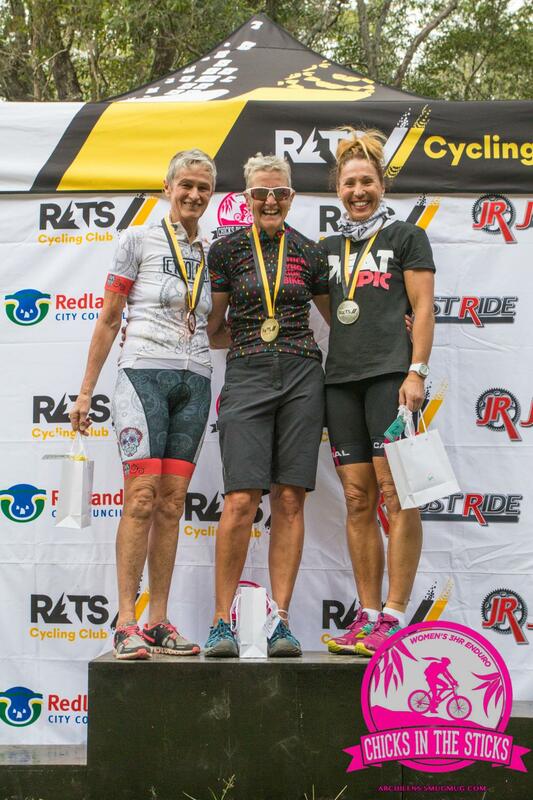 Well done to Paul & Mel and Di who raced with her 13 year old daughter! 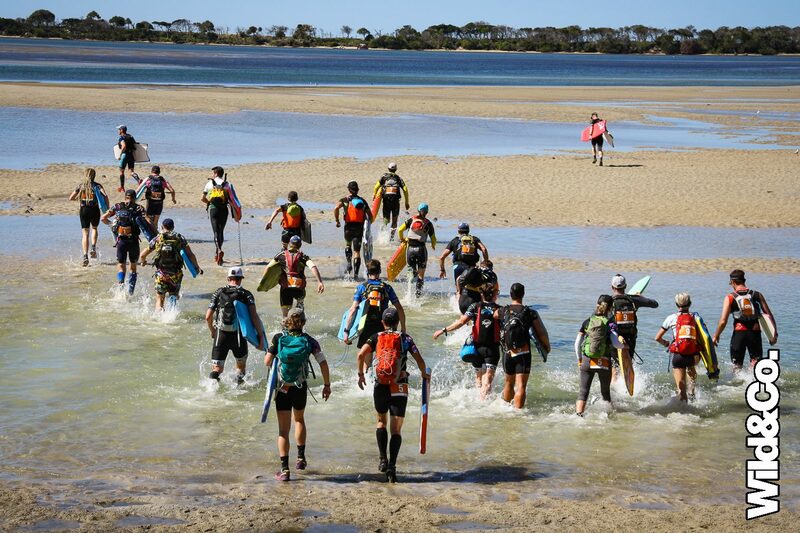 Mojo Raid 6 & 12 hour….What a great turn-out for Tri Adventure at this event over the weekend! We arrived at Camp Somerset to a 'force 10' gale blowing across the lake. There was no shelter from it and apparently it was going to get worse! Due to these conditions the paddle was made optional. 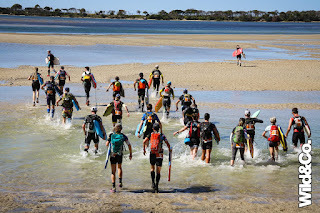 Most teams opted out of the paddle as the wind did get stronger with white-caps and waves on the lake - and were allowed to pick up one paddle CP on foot. Alex and Liam did paddle - but only a minimal one....but you wouldn't have gone out there if you were a novice, that's for sure! This was a great course with lots and lots of trekking, so great for the 'Rogainers'. 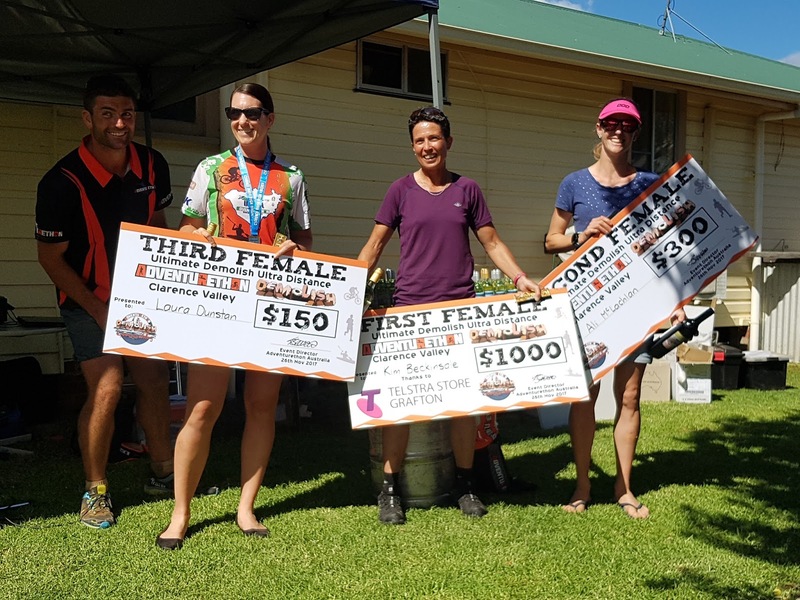 Some outstanding results from our Tri Adventure crew! QLD MTBO Champs....We have done this event over the years but have never entered the competitive categories so this year we decided to do it all. The championship comprised of 3 events over the 2 day period - Sprint, Middle distance and Long. First up was the sprint in the grounds of the Qld Catholic University at Nudgee. This was a race around buildings, ovals, paths and some gardens. It felt really weird riding through buildings and finding CPs in all these funny spots! 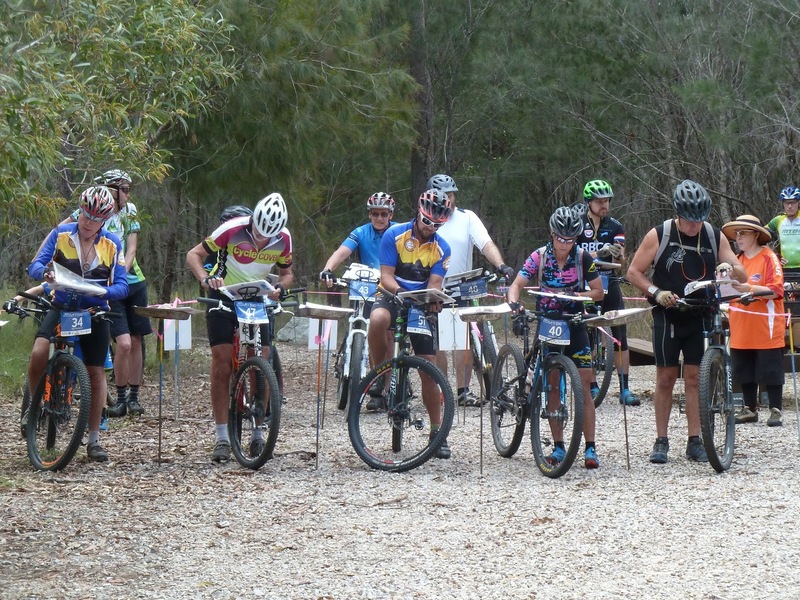 Stage 2 of the MTBO Champs was at Scibbly Gums near Cleveland - we were much more at home in the bush environment. Stage 3 - Bayview Trails. We rocked up in the morning and met up with some of our fellow Tri Adventure orienteers. Great to see Susie back having a ride - after winning this event many times over the years. Mandy was lining up with the open women and John in the open men. 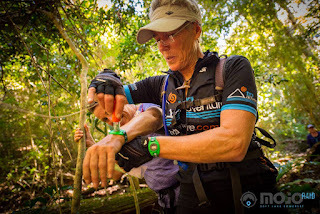 As we always say, MTBO is such a great way of getting into navigation - most of the time you're out there on your own, making your own decisions (!) and it really doesn't feel competitive at all. Well done to everyone who was out there having a go - racing 3 events in one weekend was something different for us but good fun as well. Chicks in the sticks…..Queens of the Coop at Chicks in the Sticks - well done Bardie, Anka & Michelle! 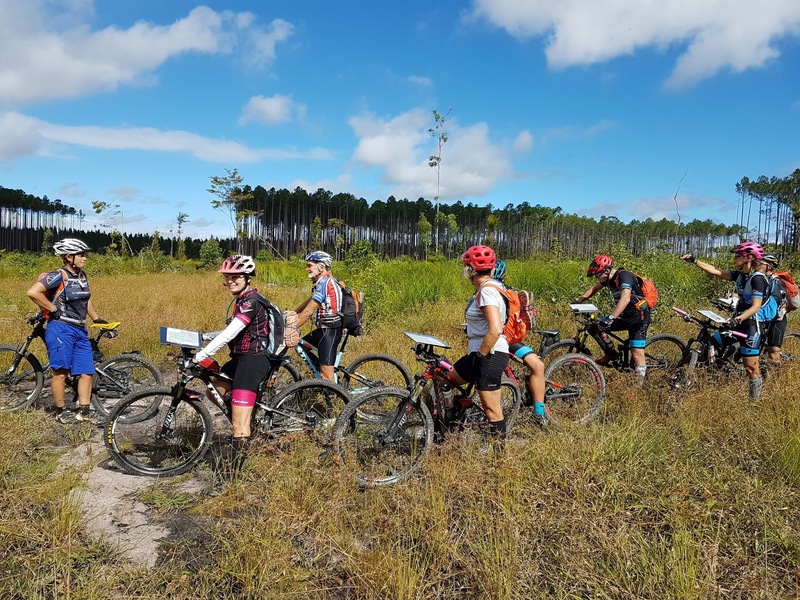 Wild Women AR Skills Clinic…. Another batch of awesome girls attended our clinic on Saturday. 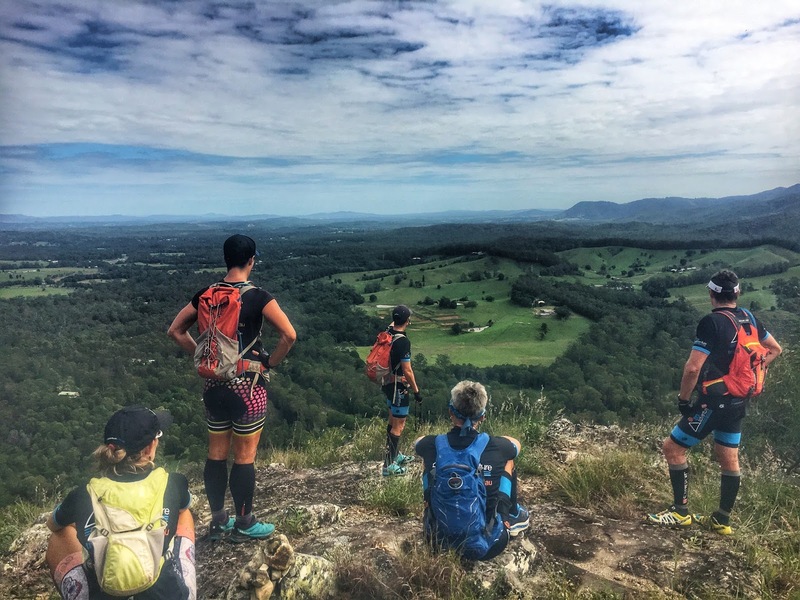 With perfect weather - again - we went through all the facets of adventure racing and took them on a 'wild adventure' where they put their navigation theory into practice. The ever reliable Cass was on hand all day to help out - thanks so much Cass - great to have an extra hand (and brain) to make it easier for us and more valuable for the girls to have someone else sharing their knowledge and experience. The day panned out in a similar fashion to most of our clinics - Gear review, navigation theory, navigation practice, paddle and paddle nav, coffee shop, mountain bike nav, foot nav and happy hour to finish the day. 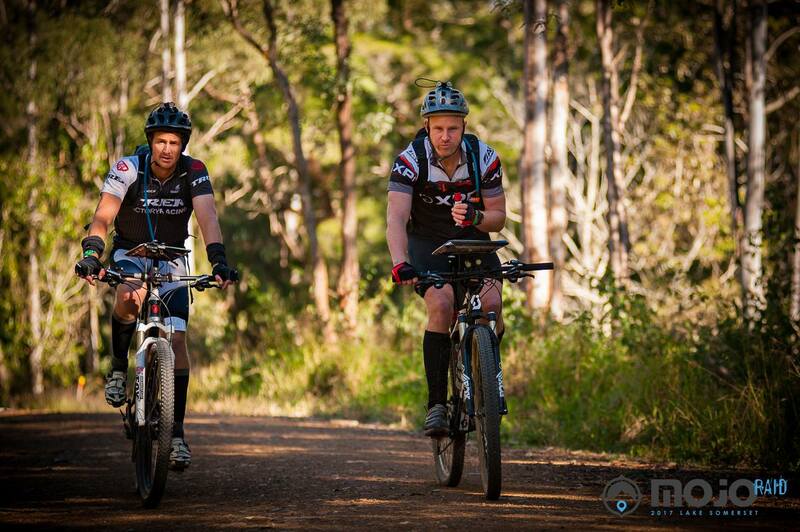 Hiddenvale Epic Run/Mtb….Apparently another cracker of an event with Tri Adventure flying the flag high. Cass was the standout performer taking out the Female Endurance title (this means she did a 22km run on the Saturday in very good time and a 97km mountain bike the next day!) 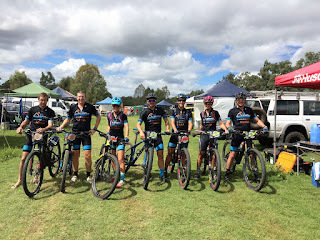 Wow - amazing Cass - and still managed to place 8th female overall in the mountain bike race (in a field with some very strong elite females) and 3rd in her age-group!! Dyson had a great ride and finished a very credible 4th in an extremely tough age-group. Gina was 1st in her age-group and 10th overall. 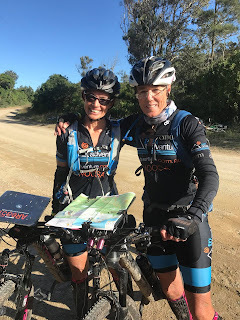 Amie was 5th and Anka placed 2nd in their respective age-groups and Steve struggled with cramps after an OTB crash but soldiered on to finish 8th. 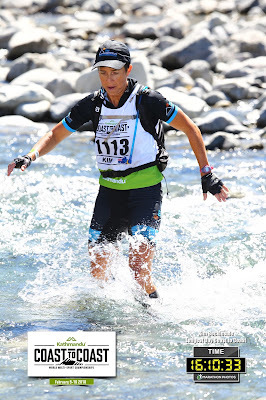 Shan raced the 52km and placed 5th - and apparently it was 57km.... Sounds like a very tough couple of days out there. Great work all of you!! Swains Peak Bike & Hike.... A lovely group joined us at Yandina for this adventure. 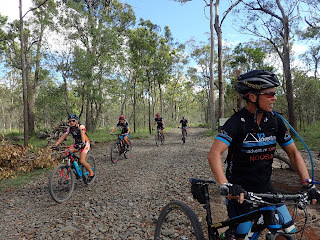 We set off on bikes and entered the forest at Cooloolabin Trailhead. There was a bit of a climb up to Bottle and Glass Road - but not too steep - and this is where we stashed the bikes. We had pre-marked the map with some CPs and purposely used a Q-Topo map which was not 100% accurate. Features included a creek junction in Chambers Gully; Creek Junction in York Creek and a trip up an awesome spur via another unmarked, overgrown track - to Swains Peak. As per usual, we had spent a lot longer out there than planned as 'Tri Adventure time' kicked in - so we made our way back to the bikes. We rounded of the session with a delicious lunch at Café Invigor8. 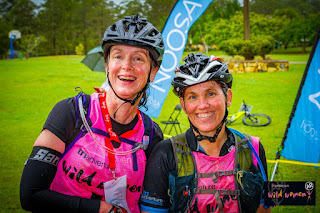 Spring Challenge…..It seems the Noosa Cruzers - Kiwi Julies x 2 + Wendy - had an extra special time at the Spring Challenge this year. 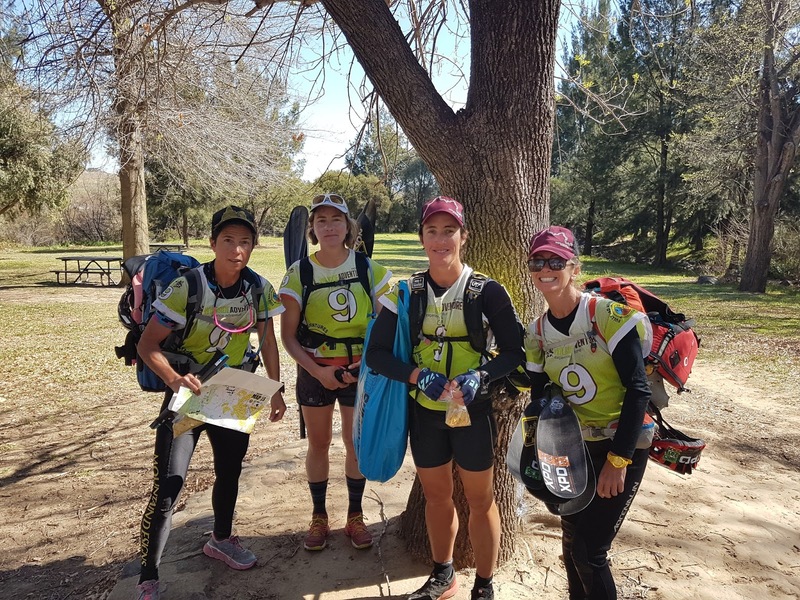 They got through a very tough course - over 15 hours - and were rewarded with the news that they had placed 1st in their category. Way to go girls! 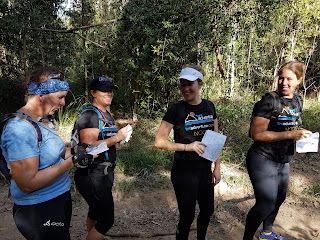 Getting to be on TA1 as the teams came in after their first trek of 55km. It was amazing to see our girls come through looking really strong and focussed and ready for the next leg. TA1 was at the Big Trout in Adaminaby...and we got to have some really nice Snowy River trout after we packed up the TA - yum! Spending some quality time with Ali Wright while on volunteering duties. We had some laughs and spent a bit of time visiting the Woolworths of the ACT! Meeting up with Thunderbolt AR during the event and breaking the news to them that they were in the lead. They didn't believe me - and were in shock as they thought they'd lost many hours but in fact were the fastest team! Watching the dots and seeing our girls absolutely nail the second trek after the abseil and head to CP13 right along that red line! 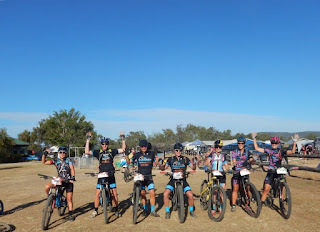 Seeing our good friends - Thunderbolt AR - smash the course as a very happy and caring team and take out the Adventure 1 series in the process. So well deserved! Riding on a guided tour of Mt Stromlo trails with Tom in the lead - reminiscing of my 24 hour world championship race there 7 years ago. 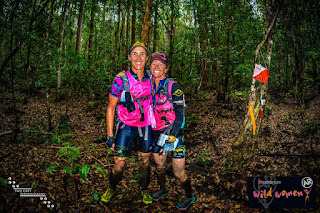 Wild Women AR…..So many great stories from this race, we hope that everyone who participated enjoyed the course and the adventure despite the challenging conditions. Mt Tinbeerwah to Pomona on foot and bike with a paddle on Lake MacDonald in the middle, along with a few added challenges along the way like slackline and shanghai. Thanks so much to all the Tri Adventure volunteers who helped us ensure the event was a success. Paddle and Mtb adventure! We had a challenging paddle from the start and a quick stop at Mill Point before an even more challenging paddle back to Boreen Point, then headed up into the hills on the Noosa Trail Network on our bikes. It was the most beautiful day and the views were awesome as we travelled the ridgeline before the big downhill on Simpsons Road. 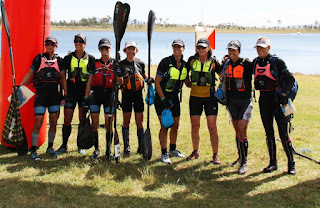 Kenilworth Mary River Adventure….This was a recap of part of a rather challenging Hells Bells about 5 years ago. 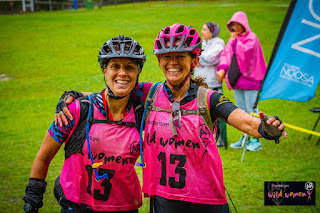 The Kromes were part of that event and they were brave enough to come and have another crack at it - shows how much we forget over the years....especially no less than 6 'hike-a-bike' sections!! Paddle Mary River, ride the Kenilworth Trails to Charlie Moreland, then a little trek near Sunday Creek Road. 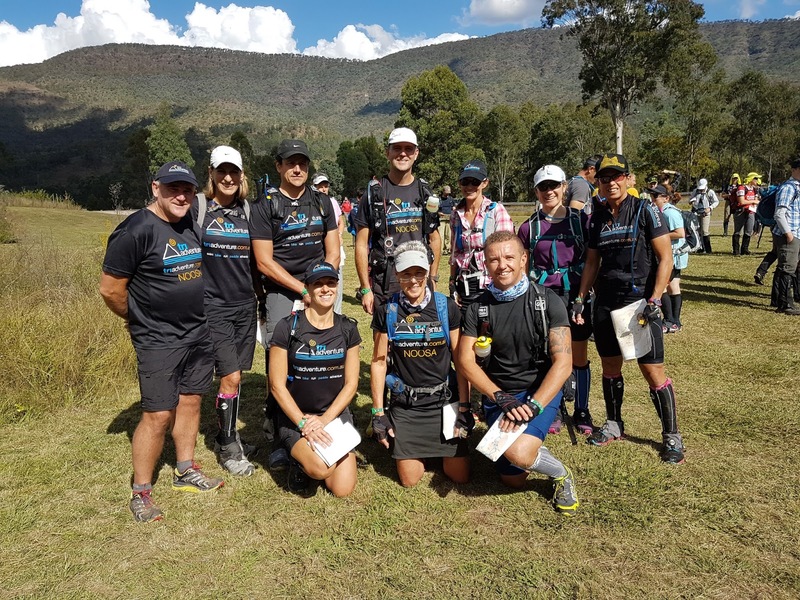 Thanks to Greg & Michele who came all the way down from Maryborough for this challenging adventure - we thoroughly enjoyed your company!! 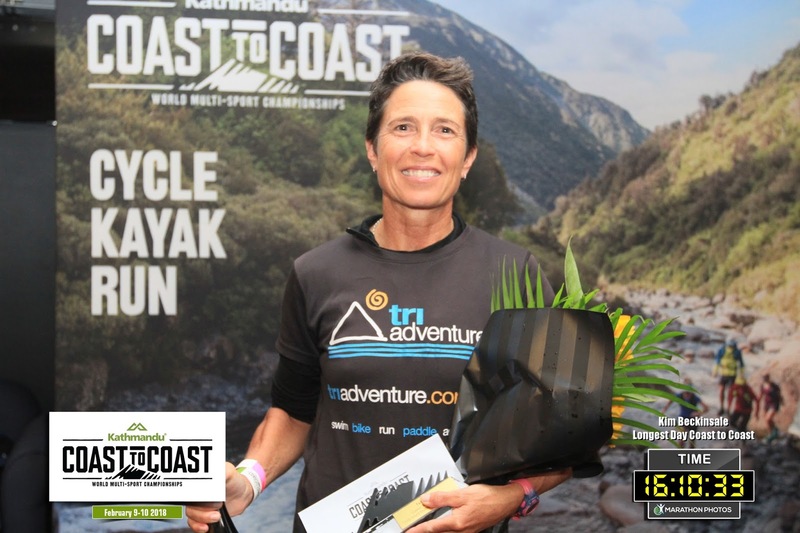 Adventurethon Demolish…..We really wanted to support this event, and as Kim was training for Coast to Coast, it seemed like a great opportunity to do some rock running, white water kayaking and some flowing MTB trails along the way. 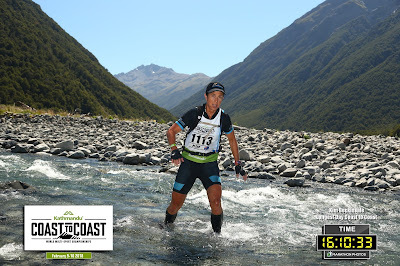 This was a stage race so each discipline was separate - Flow MTB; The Gorge Trail Run and the Clarence River Rush. A great weekend of racing and adventure mixed with plenty of time for socialising before during and after the event. 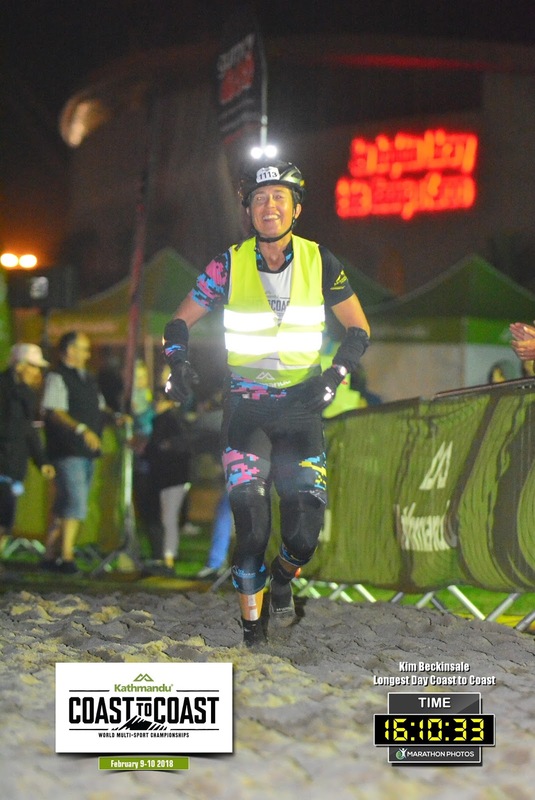 We strongly recommend these Adventurethon events for anyone looking for a multisport event without navigation. Navigation Sessions...... Even though there were no events looming, we decided you can never get enough navigation practice. So we set a course near Pomona and spent two weekend sessions out there, trying different route options on foot......some bush bashing and even a few swims across some of the swollen creeks. Montville Adventure..... 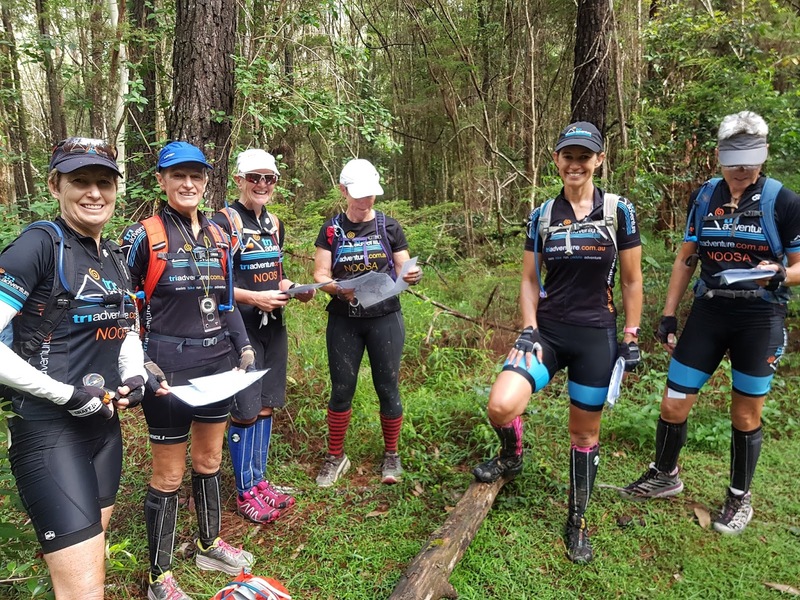 This weekend adventure included a Paddle, Trek, MTB, Trek and MTB taking in Lake Baroon, Kondalilla Falls, Flaxton, Mapleton, Obi Obi Road, Baxter Falls and back to Montville for refreshments before the ride back to the start. 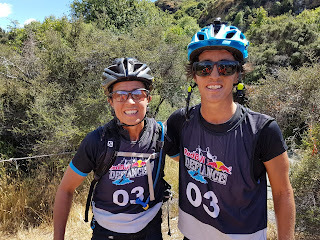 This proved a great training session for those in the group training for XPD; Red Bull Defiance and X-Marathon. Tri Adventure Picnic Hike..... We rounded off the year of adventure with a very peaceful Friday Night picnic hike, yes and the bubbles flowed!. It was lovely to have so many of our Tri Adventure Group, family and friends come along and join us in our beautiful part of the world! We look forward to spending plenty of time out there in our beautiful backyard and beyond in 2018......we hope that you can join us for the adventure! Kim Beckinsale and Jan Leverton have been involved in Adventure Racing and Multisport since 2003 following numerous years of participation in other endurance-style events. The freedom & excitement of adventure sport has ignited a passion for, not only experiencing it themselves, but exposing others to the pristine places and experiences that only adventure sports can take you…not to mention the lifestyle benefits of being active in the great outdoors. We'll see you out there!